ECSPP promotes new investments in Europe's integrated, innovative and competitive chemical industrial clusters and complexes. Casale and Borsodchem, a subsidiary of Wahua Chemical Group (China) have sealed a contract for the supply of a new 660 MTD, nitric acid plant at the Kazincbarcika factory in Hungary. The plant will produce 68% strength acid and it is based on Casale’s NA2000 dual-pressure process, the same applied in the first, identical unit which has been in operation since 2012 on the same site. Casale scope of supply includes the provision of the license, the basic engineering, the review of detail engineering and site assistance. "We are very pleased by the continued trust placed by Borsodchem on us and our nitric acid technology also for their second plant. Casale is strongly committed to deliver the same level of high quality, superior performances and long-term reliability as the first one which is in operation since 2012", has commented Mr F. Zardi, CEO of Casale. 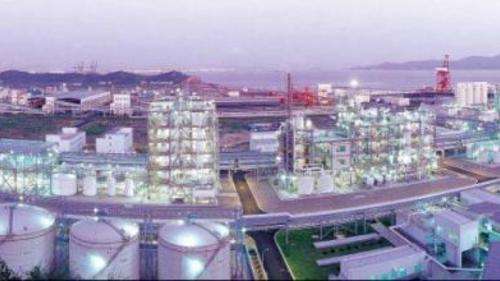 NA2000 is Casale’s Dual Pressure nitric acid process originally developed by GPN that Casale has acquired in 2014 from Borealis together with Borealis Nitrates and Phosphates fertilizer technology portfolio. DSM announced that it reduces CO2 emissions at its vitamin production facility in Sisseln, Switzerland, by 50,000 tons/year. Nouryon will start construction in May on a project to further increase capacity for chloromethanes at its site in Frankfurt, Germany. The expansion is expected to be completed in 2020. The Ercros factory in Cerdanyola has expanded the production capacity of moulding compounds by 3,000 t/year, which represents an increase of 14% to reach 25,000 t/year.